The Data World Cup – Who will take it home? The 2018 Fifa World Cup has kicked off in Russia, with the home team facing Saudi Arabia. Highly skilled players are coming to represent countries from around the globe, and every country has the chance to go home with the trophy. However, when it comes to the technology and data skills of a nation, it’s a very different ball game. The UK has a strong culture built around football; some understand the offside rule, when a foul is committed and the popular formations used in a game. If we flip that knowledge to the world of data; can the same number understand compliance ruling, when a cyber attack is committed or the popular cyber security tactics of companies? The answer is likely to be no. Those who triumph with the ball may very well stumble in their pursuit of data governance. The latter has become an increasingly important attribute for countries, as behind the scenes of the game, state-sponsored cyber attacks are booted between rival nations. Russia: The home of football, and the home of cyber attacks? 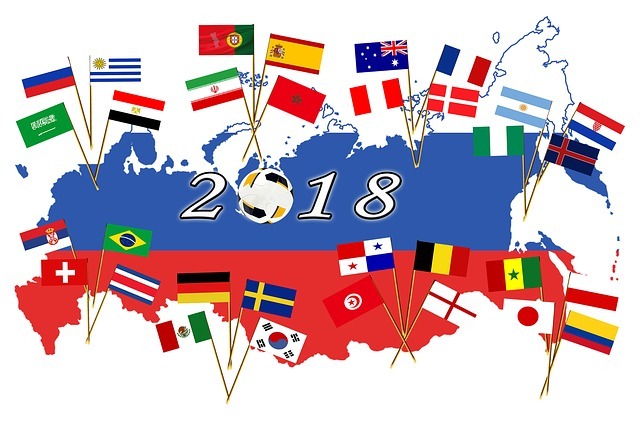 One main concern for the countries partaking in the World Cup this year is the Russian-Government-funded hacking group Fancy Bear, also known as APT28. In August 2017, the group gained access to the database of the World Anti Doping Agency, claiming figures showing 160 players had failed drugs tests in 2015 and 200 in 2016. It’s unknown whether we’ll see more activity from the Fancy Bear group, but it’s fair to say the Football Association (FA) aren’t taking any risks. The FA is concerned its own correspondence with the governing body and sensitive information such as injury, squad selection and tactical details could be exposed as a result of another Fancy Bear hack. FA officials have been boosting cyber counter-measures, including strengthening online firewalls and introducing encrypted passwords for websites and devices. England players and staff have been encouraged to use messaging apps like WhatsApp for communicating as they use end-to-end encryption, so messages cannot be read if they’re intercepted. They’ve also been advised not to use public or hotel Wi-Fi while at the event, for risk of insecurity. Kaspersky conducted research on found over 7,000 public Wi-Fi points in World Cup 2018 host cities to be insecure, around 20 percent of the total number. With these cyber threats increasing around large global events like the World Cup, are UK businesses prepared for these strikes? Big Data LDN’s Fourth Industrial Revolution research found data security was the third highest priority for UK data leaders, with data privacy and data quality positioned first and second respectively. However is that enough for UK businesses to keep their data safe? Protecting data - which country is David De Gea and which is Loris Karius? The World Cup is a place to see the world’s best players in action, like goalkeeper David De Gea, but football can also be an unpredictable sport where things can go badly wrong, as we saw with Liverpool’s Loris Karius in the Champions League final. Similarly, when a cyber breach gets through an organisation’s defences, more than just a game is lost and the damage will last longer than the typical 90 minutes in a football match. Some have said most cyber attacks around the World Cup are coming from its host, if that’s correct, are they lobbing balls from inside a glass house? Some of the most senior UK data leaders shared their opinions in the Big Data LDN Fourth Industrial Revolution Report on the data technology and skills of countries worldwide. It found despite Russia’s seemingly high cyber activity, none of the survey respondents considered it to be the most advanced country in data security or data governance. The research also showed the UK and US were regarded by 38% and 30% respectively as the most advanced in data security and by 46% and 25% as the most advanced in data governance. So this brings the question, are UK data leaders underestimating Russia’s defence? As the 31 countries descend upon Russia, we will see what football skills each country can produce. After the final whistle is blown in the World Cup Final, business returns to normality and we’ll also likely see how well prepared these countries are when it comes to data governance and protection, especially if the Fancy Bear hacking group makes another appearance. Winning the World Cup in Russia is a long shot for England. Looking at how well equipped UK businesses are today when it comes to data skills, is the UK Government doing enough to develop data skills and ensure the next generation have the skills to build and protect a strong data future? Most kids have kicked a ball, but only some have the fortune to represent their country. Coding is the future of the global economy, it would be interesting to see if the UK has the talent to succeed. Facebook’s telling off – who’s next for the naughty step? Big Data – How do you keep it secure?